To fully understand a fish, you mush first swim in the water. There is no substitute for direct experience with a subject. Everything you do and learn contributes to your ability to find your elusive ancestors. Your ancestors are like fish swimming in sea of history. Do you think you can merely look at the sea and never get your feet wet and understand and therefore find, your ancestors? Carrying this analogy a little further, In 1960 the Trieste, a bathyscape, was the first submersible to reach the bottom of the Challeger Deep in the Mariana Trench off of Guam at 35,797 feet below the surface of the ocean. Subsequently, further explorations re-wrote most of what was believed at the time about the bottom of the world's oceans. Much of this new information about the bottom of the oceans would have been discovered had not some explorers gone deeper and further than anyone had before. Your ancestors exist in an ocean of data and some of them are hidden in the depths. To find them, you must be like the explorers of the oceans, willing to go deeper and look further than ever before. Mr. Spock on Star Trek is quoted as saying, "When you have eliminated the impossible, whatever remains, however improbable, must be the truth. However, he was merely quoting Sherlock Holmes in the Arthur Conan Doyle story, Sign of the Four, Chapter 6, Page 111. See Doyle, Arthur Conan. The Sign of the Four: Or the Problem of the Sholtos. New York: Ballantine Books, 1975 and many other collections and editions. Although it might be useful to have the almost superhuman abilities of observation of a Sherlock Holmes, it is not a requirement for practicing genealogy. It is however important to spend the time and effort of a Sherlock Holmes to find some of your ancestors. May I suggest some of the areas where research will be necessary if you are to find the most elusive of ancestors. If you ignore history you may never figure out you are looking in the wrong place and at the wrong time. The necessary history may be a simple as checking to see whether or not a certain county or parish was in existence or as complicated as locating international boundaries during a time of war. I have previously suggested on several occasions that a researcher read every newspaper available where they think their ancestor lived. Few genealogists have even attempted to do so. Those who do, find their ancestor or have moved one step further towards eliminating the impossible. Going back to the fish analogy, you can't really expect to find an elusive ancestor if you are timidly sitting on the bank of the historical record. It is time to dive in and start learning all about the times in which your ancestor lived and died. I can't imagine how many times this has been printed and taught to genealogists, but ignoring this principle is nearly always at the core of the problem in finding an elusive ancestor. It is not unusual for me to find a researcher looking for an ancestor without a shred of documentation for anyone in the ancestral line leading up to the missing person. I have even been met with hostility and disbelief when I have suggested that the problem in finding the parent originates in a lack of information about the child. I think on of the watershed experiences of doing genealogical research is when you come to the inescapable conclusion that you must travel to the place you believe your ancestor lived. Nothing else will get you further down the line. You may have to think about this statement for a while until you get what I am saying. My bad example was searching for hours in the Utah State Archives for a court case, only to find out all of the records had been transferred to the National Archives in Denver. Very few of the family group records I found about a certain relative mentioned a second wife. No one seemed able to agree that he had one, but the court case I ultimately found in the Denver National Archives was a conviction for unlawful cohabitation, thereby "proving" that he indeed had a second wife. I was researching the record hoping to establish where he was born. Instead, I found proof of a second marriage. It seems very convenient when you are just starting out in genealogy to believe that once you have finished searching in the Census records, you are all through with your research. Of course, you soon find out the Census records are just the beginning. Don't ever believe that you have looked at all the records. It is impossible to do so and therefore as improbable as it may seem, there is always another record to look at or a new way to look at the records. I would guess that nearly all of the counties in the United States have a local historical society. A Google search on the terms "historical society county state" shows millions of results. If I choose a county at random, such as Kane County, Utah, the first thing I discover is how many states have counties with the same names. The next thing you will discover is that you might have to be creative to find the equivalent organization. There may be a museum, library or even a city office that handles the "historical" documents of the area. For example, the Google Search for a Kane County, Utah Historical Society, did not show any results, but it didn't take more than a minute to find the Orderville, Kane County, Daughters of the Utah Pioneers Museum. Of course, Utah has a State Historical Society and has over 65,000 images online. In Utah, the State Historical Society and other organizations are part of the Utah Division of State History. Other large and established organization include the Daughters of the Utah Pioneers with a very substantial museum up the hill from the Family History Library in Salt Lake City, Utah. Utah is in no way unique in this regard. With a little bit of searching, you will find similar organizations and collections of historical and genealogical documents scattered across the country. One thing you will also find in abundance is a number of "old timers" who are willing to talk about the early history of almost any area. I once stopped off at the library in Seligman, Arizona and in a few minutes the librarian was on the telephone trying to put me in contact with some of the "old timers." Sometimes, all you have to do is ask. Another interesting and helpful resource is the local mining, railroad or whatever museum. There is even a Moonshine Museum at the Hillcrest Orchads in Georgia. Some of these "museums" are maintained by commercial enterprises, such as the Dole Pineapple Plantation that I visited recently in Oahu, Hawaii. Never underestimate the amount of genealogical information contained in the files of these "museums." Check out the entries for each state in the FamilySearch Research Wiki. Most of the state articles have an entry for societies. Many of these museums and societies are underfunded and understaffed. They may only be open by appointment or on very limited days. It pays to do some homework and get on the telephone or computer and talk to the society before attempting to visit. Some of the state historical societies have a list of all of their local historical societies. The website for the State Historical Society of Missouri maintains such a list entitled the "Directory of Local Historical Societies, Museums, & Genealogical Societies in Missouri." Such organizations may appreciate a donation or gift. In one county historical society, I was told that they "did not allow photographs of their documents." After a few minutes discussion, what we determined was the issue was that they made a substantial amount of their operating expenses by charging for photocopies. I got permission to photograph anything I wanted, by simply paying the equivalent copy cost for each photo. They were happy and I was happy without the paper. So where would an historical document or photograph end up? Well, the answer to that question is "just about anywhere." But it pays to look in places where the people involved have an interest in maintaining such old documents and photos. I'm delighted to announce that MyHeritage has reached an exciting milestone: we have surpassed 5 billion historical records! It has taken only two years for MyHeritage to build this treasure trove of historical information demonstrating that MyHeritage is one of the fastest-growing and most internationally diverse family history companies in the world. The records come from a wide variety of collections from many different sources and from dozens of countries. The collections were also given a great boost after our multiple acquisitions in recent years, including World Vital Records and Geni. MyHeritage is proud to provide Historical Big Data; which together with our advanced record matching technologies, helps users worldwide make breakthrough family history discoveries and learn more about their families’ legacies. MyHeritage continues to add millions of new records to SuperSearch every single day. We are working hard to add more global content and to make researching ones family history easier and more accessible than ever before. We expect to surpass 7 billion historical records by the end of this year. The records come from a wide variety of collections from many different sources and from dozens of countries. They include birth, marriage, death, immigration, military records and many others. As well as newspaper articles, photographs and family tree profiles. They help families everywhere explore their legacies online, and bring value to millions of users worldwide. All I know is that my Record Matches on my family tree on MyHeritage.com just reached 7058. I am losing ground in trying to keep up with adding records to my family tree. 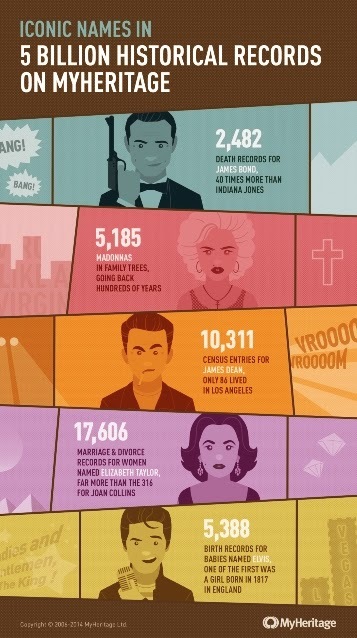 This is especially true because that number does not count all the additional records found by the Record Detective. I am glad I am not the guy who has to count all those records! Where do I look next? The perennial genealogical question. Very early in my genealogical journey in life, I was given a single sheet of paper called a Source Checklist. A have since run across a number of different such checklists over the years. Currently, you can find one version of this in the FamilySearch Research Wiki called a United States Record Selection Table. Here is link to another form, similar to the one I was given years ago. This one is from the Haywood County Historical and Genealogical Society. Here is another, much more complete, list. This one is from the Puget Sound Genealogical Society. But without the further explanations and links in the Research Wiki, you may have no idea where to go to find such records. Also, no one repository could possibly have even a big percentage of the longer lists of sources. I will refer to this as the "missing link" in genealogical research. Let's suppose you have a missing ancestor in the mid-1800s in Virginia. Where would you go to find school records? What about directories? Would you even know whether or not such records exist at the time and place your ancestor lived? The missing link is first recognizing that there are additional types of sources that may help in your research and then knowing how to go about finding those types of records. The main purpose for having such a list is to open up possibilities. Many times I find myself following well rutted research trails and ignoring all the less traveled paths leading off into the wilderness of genealogy. But I find myself coming back again and again to the Research Wiki and books such as The Source and other such publications that give me a start on a less used trails. The huge online genealogical database programs give users the impression that they are searching millions and millions of records, with the implication that the records you are searching for are there and available. Let me give you an example of the type of record not usually found in any easily obtainable online genealogy program. From time to time, as I work on adding content to the FamilySearch Research Wiki, I find whole categories of records that have yet to be added to the database. Recently, I have been starting to add information about United States Water Records and a similar page for each of the states. Once you have thought of this type of record, it becomes obvious that it is missing. As you analyze the value of such records, you realize that they contain valuable genealogical information. In saying this, I think we all need to expand what is included in our personal definition of genealogically valuable records. In my view, any record that locates an ancestor in a particular place at a particular time is valuable. I find that few genealogical researchers know about or use these types of records, I also find that many types of records seldom come up in any genealogical classes or discussions. When I have proposed teaching a class or doing a presentation on some of the lesser used types of, let's call them "obscure," records, I have been turned down. Conference organizers do not wish to risk have a small "poorly attended" class, so they stick with the main stream topics. For example, my next research topic for the Research Wiki is Livestock Brands. When was the last time you heard of a class on that subject in a genealogy conference. Do you think there will be a class on Livestock Brands at next year's RootsTech or FGS Conference? 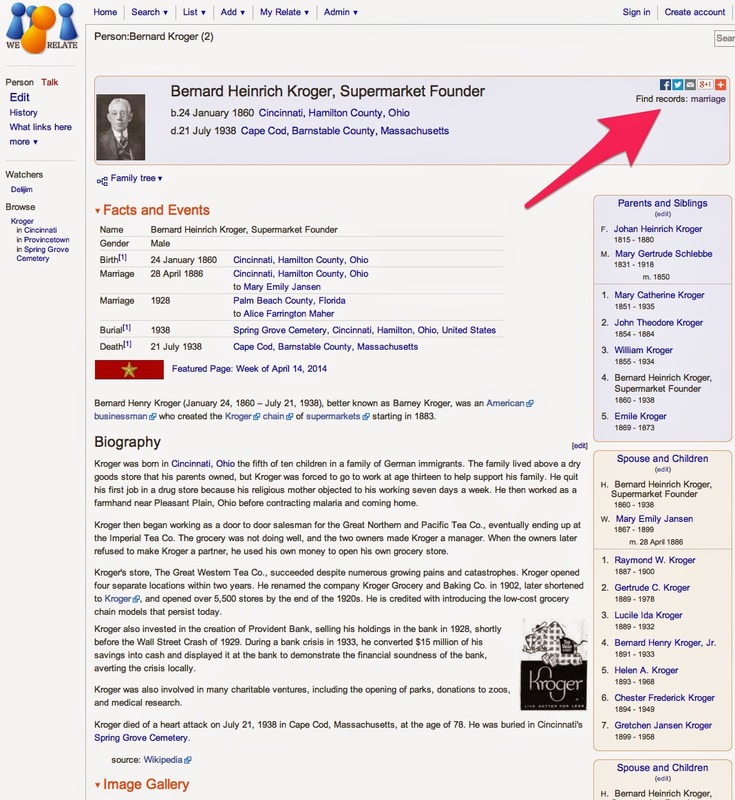 By the way, as the Research Wiki contributors spend more time and effort on the program, it continues to become more and more valuable as a finding aid and in effect, becomes a super source checklist and unlike the single sheet of paper list, it gives the places to go to find the record types. As usual, my suggestions are that we expand the way we look at genealogy to include the types of records and sources that exist but are often overlooked. For the past few years we have lived in between two competing churches. Each of these churches sponsors really spectacular fireworks shows. The shows are usually on the 4th of July, but then they seem to have them sort of randomly throughout the year. Sometimes, they are both going at once. We can sit on our patio or in the front yard and watch the show. They go on for a long time. I think you might get the idea. I'm sorry, but I don't seem to live in the same world they are promoting. I don't even speak the same language. I certainly understand that people have a widely varying idea of fun. You might think it is fun to sit and watch the grass grow. I may think fun is hiking twenty miles through the desert. But my personal experience is that fun usually means that someone wants to sell me something. I don't really think you can buy fun. By the way, I did stop at the claim that they could find my ancestors, guaranteed. I wonder how you do that? To me fun is sharing dinner with my children and grandchildren. Fun is helping people find their ancestors in a FamilySearch Library or online. Fun is spending a quiet day in a library doing research. If the concept of fun has any meaning at all, which I doubt, I would not apply it to any commercial product presently available. Most of them are painful. Some are useful, but still painful. Some are better than others, but no one has developed the "perfect" genealogy program. I have to admit, finding the perfect program would be fun. I guess I fail to understand why everything we do has to be fun? I do not see fun as the ultimate goal of our existence. Most worthwhile things I do take a tremendous amount of effort. I can tell you one thing that is definitely not fun and that is moving 40 years accumulation of junk to another state. But that is another story. Does genealogy have to qualify as "fun" to be validated? I would hope not. I learned pretty early in life that work, really hard work, is its own reward. If I had the choice to sit and do nothing or work really hard, I would choose the work every time. Are we all caught up in the Mary Poppins "spoonful of sugar" syndrome and feel we have to be rewarded with a dose of fun for anything we do, no matter how valuable it is? How about selling a genealogy program something like this with a little more realism? Our program is fairly difficult to learn, but it has some useful features, that is assuming you can figure out what the program is supposed to do and can understand our instructions. You will also find a whole lot of features that seem superfluous and useless, but they are there just in case you can figure out how to use them. We do an adequate job of the core tasks but there are some quirks that we haven't worked out yet that will drive you to distraction. Assuming you get the whole program figured out, we will come out with a newer version about that time that will change everything you are already doing. That doesn't sound very fun to me, but I am willing to put up with things that are not fun, if they are useful tools for doing my work. Shovels aren't fun, but they do a good job of digging holes, if I do the work. Think about it. We'll be releasing a new feature soon which we're tentatively calling the Find-A-Record Research Assistant. It combines data from your tree with Find-A-Record data to create a research hub; at least that's the vision. It will be like the Find-A-Record Chrome extension on steroids. At first it will only work with the FamilySearch Family Tree. We hope to expand it to other trees in the future. At first, the entry point will be via the website as shown in the video, but we will probably update the Chrome Extension to just have one link to the Research Assistant as opposed to the three BMD links. We would like to get your feedback on this. Would you use it? What could make it better? What do you hope it will do? Looks extremely interesting, especially the part about giving users of Family Tree a summary of the sources attached to a block of individuals in the program. What is not mentioned is a way to attach the documents directly to the individuals in Family Tree once the potential sources are identified. Perhaps you have more suggestions for them? I got a comment from a reader that tipped me off on a whole area of research I had pushed to the back of my mind for many years. The U.S. Government Printing Office (GPO) is the Federal Government’s official, digital, secure resource for producing, procuring, cataloging, indexing, authenticating, disseminating, and preserving the official information products of the U.S. Government. The GPO is responsible for the production and distribution of information products and services for all three branches of the Federal Government, including U.S. passports for the Department of State as well as the official publications of Congress, the White House, and other Federal agencies in digital and print formats. GPO provides for permanent public access to Federal Government information at no charge through our Federal Digital System (www.fdsys.gov), partnerships with approximately 1,200 libraries nationwide participating in the Federal Depository Library Program, and our secure online bookstore. What can I find at a Federal Depository Library? Depositories also provide online access to Government information. GPO online services are offered to help users of all ages find Federal information, and depository librarians provide expert assistance in using these online services. The Government Printing Office has an online catalog of publications. Here is a partial list of a search on the term "genealogy." United States.National Archives and Records Administration. United States.National Archives and Records Administration.Southeast Region. The Genetic Information Nondiscrimination Act of 2008 (GINA) [electronic resource]. 2009 United States.National Archives and Records Administration. You might just find something interesting or helpful just with this pretty simple search. There never seems to a be an end to the stream of documents and sources, does there? I guess it will keep me busy for a the rest of my life. The key to genealogy is identifying the places where events occurred. Names and dates are nice, but if you have the wrong place. Good luck. One of the many challenges of genealogical research is sorting out the correct levels of jurisdiction of various places around the world at different times. Today seemed to be my day for unscrambling location references. Sometimes these issues are caused by an abysmal lack of historical and geographic knowledge. In the last post in this series, I gave some examples from older Family Group Records. Unfortunately, I see the same issues even with newer files in online family trees. Just when it is becoming possible to correctly identify geographic names and reflect the actual circumstances based on accurate online maps and information, standardized place names throw a monkey wrench into the works. These popup menus seem to appear ubiquitously in both desktop and online family tree programs, suggesting current place names, spellings and jurisdictions even when entirely inappropriate. These annoying suggestions are more than welcome when the events being entered are contemporary. But I thought that whole idea of genealogy was to go back in time? It is unequivocal that place names change over time as political and social conditions change. If the programmers of the various database programs wanted to be really helpful, they would correlate the date of the event with the suggested place although I am not certain that all that information exists in any one database as yet. There is at least two programs, RootsMagic and Legacy Family Tree, that will check the threshold issue of whether or not a U.S. county was in existence at the time of the event. But other than this one type of check, those programs with suggested "standardized" place names suggest the modern equivalent in every case and thus obscure the historically accurate location. Another closely allied issue is that of programs suggesting a place when you start a search for records. I am not going to pick on any one program because it seems as if the programmers think they can guess what you are looking for. Let me give an example that might seem somewhat simplistic. Let's suppose that you are searching for an ancestor born in Europe and the U.S. Census entry says that the ancestor was born in "Bavaria." If you try to enter this as a birthplace in almost any of the popular database programs, online or on your computer, what do you think will happen? Bavaria is one of the oldest continuously existing states in Europe; it was established as a stem duchy in the year 907. In the 17th century, the Duke of Bavaria became a Prince-elector of the Holy Roman Empire of the German Nation. The Kingdom of Bavaria existed from 1806 to 1918, and Bavaria has since been a free state (republic). Modern Bavaria also includes parts of the historical regions of Franconia, Upper Palatinate and Swabia. The last entry above raises the next question. Assuming that you can sort out which entity was in existence at the time of the event in your ancestor's life, do you record the place in the language of the country or in English? And, by the way, do we record the full name of the country at the time or merely a shorthand version? I used to teach Spanish at a local community college here in Mesa and one question I used to ask the students in the class was the name of the state on Arizona's southern border? The most common answer, with almost no exceptions was that there was no state on Arizona's southern border. Hmm. Remember, I was teaching Spanish. So what is the answer? Sonora is the name of the state to the south of Arizona. So, now what is the name of the country to the south of Arizona? Remember again, I am teaching Spanish and the "country" is less than 200 miles away from the classroom. Do you know? OK, I won't keep you in suspense, the name of the country is the Estados Unidos Mexicanos. See CNN, "After nearly 200 years, Mexico may make the name official." The question is how do we, as genealogists, record this information. Do we record this in English or Spanish? When is translating the place name into English proper in genealogy? Should all the different people around the world translate their record of place names into their own language? Should Salt Lake City, Utah be recorded as the Ciudad del Lago Salado? I mentioned at the start of this series that the issue of place names was likely very complicated. It is. Will the standard place name suggestions in the programs give you Estados Unidos Mexicanos? The last time I checked, there were 50 states in the United States of America. I also realize that there are a number of other entities that vie for recognition, usually the District of Columbia, Puerto Rico, the U.S. Virgin Islands, American Samoa, Guam, and the Northern Mariana Islands. All of these political jurisdictions have genealogically significant records and to a greater or lesser extent, some of these records are in the process of being digitized. On a national basis, the focus of the digitization has been primarily on newspapers. But the question is where are we nationally in digitally preserving our records? Digitization efforts in the United States are highly fragmented. There are relatively small, very local projects and huge government-sponsored ones involving millions of documents. From a genealogical standpoint, there is a significant involvement by major online genealogical database programs. But my question concerns the involvement of the various states in preserving their own records. But first a look at the National Digital Newspaper Project. Overall, the Library of Congress, Chronicling America, Digital Newspaper Project has 7,597,817 pages of digitized newspapers from around the country. Click here for a list of the participating states and the years for which each state received funding. In addition, many of the states have their own digital newspaper collections. Wikipedia maintains a List of online newspaper archives. Another resource is the Historical Newspapers Online from the University of Pennsylvania Libraries. The Library of Congress has compiled a guide to the State Digital Resources: Memory Projects, Online Encyclopedias, Historical & Cultural Materials Collections. You can also view the Library of Congress Primary Sources by State. The best way to determine whether or not your state of interest has online record collections is to look to the various state libraries and archives. Several state's archives and libraries have been under attack in the past few years from budget reductions and attempts to limit access to records for political reasons. Apparently, some of the state legislatures and other political officers believe that allowing their citizens access to historical records threatens their ability to maintain high levels of graft and corruption. Despite these efforts, there are still a huge number of state documents making their way into online digital collections. the National Archives maintains an online list of each of the state archives as well as a helpful list of genealogy related websites. Another useful list is maintained by the Council of State Archivists in its Directory of State and Territorial Archives and Records Programs. The number of websites is somewhat overwhelming. One major effort to consolidate these diverse online resources is the Digital Public Library of America (DPLA) The DPLA continues to attract a variety of partners and increase its online resources dramatically. The New York Public Library recently opened a significant number of its online documents to the DPLA. If you search using terms such as "state digital collections online" and similar terms you will keep finding more such collections and links. In this series of posts about names, dates and places, I am finally to the really controversial and most difficult of all of these considerations. If names and dates have some issues, they are a like minor neighborhood battles and places are like World War III. The main reason is that if a name or date is wrong, it is just wrong. Variations in names and dates are usually understandable. Adding places to the mix opens up a whole world of controversy. Let me start with the accepted genealogical rule on place names: they are to be recorded as they were at the time the event in question occurred. Well, that seems simple enough, doesn't it. Maybe I should just end this post with that statement and avoid all the controversy? Hmm. That wouldn't be very much like me would it? The list could go on and on. By the way, none of these abbreviations were due to lack of space on the form. It always looked to me like these folks were being charged per character for filling in the forms. I picked one of these place at random from the 5+ million records and decided to look it up. The last one on my list above is recorded as "of Grossniedesheim, Pfalz, Bvr." The associated date is 1844. Let's see if that works out? A first quick check in Wikipedia gives us the following: Großniedesheim is a municipality in the Rhein-Pfalz-Kreis, in Rhineland-Palatinate, Germany. By the way, the coordinates are 49°35′N 8°19′E. So why do we care? The real question is where are the genealogically pertinent records? This is where the municipality is today, where was it located in 1844? The rule is that genealogically pertinent records are created at or near the place where the event occurred depending on the jurisdiction in which the event was located. Records pile up like pancakes in layers depending on the time the event occurred. For example, there may be local, district or county, township, state and national records created at any given time depending on the event. Military records may be kept on a national basis. Church records may be kept in the administrative division of the church. Tax records may be kept by the taxing authority and so forth. Let's go a little further. The Rhein-Pfalz-Kreis is a district (Kreis) in the east of Rhineland-Palatinate, Germany. The district was created in 1886 under the name Bezirksamt Ludwigshafen, one of the last acts of king Ludwig II of Bavaria. See Wikipedia. Hmm. So in 1844 this place did not exist as it is today. By the way, the word "Kreis" means district in German. Oh, actually it also means "circle" but is used for district. The German words for "district" are Bezirk, Kreis, Stadtteil, Viertel, Gegend, Gebiet, Gau, Teil, Quartier, Revier and Stadtviertel. Let's go a little further with this discussion. The Rhineland-Platinate is one of the 16 states of the Federal Republic of Germany. See Wikipedia. This state was created in 1946. So we can pretty much appreciate the fact that records created in 1844 or there abouts might be a lot of places. Before going on. Remember, our genealogist recorded this place as "of Grossniedesheim, Pfalz, Bvr," so we don't even know, at this point, if the event of 1844 took place in this location or somewhere else. The individual ancestor may have moved to this location later in life and was actually born in a completely different place. When the place was recorded as "of..." such and such, what did that mean? Well, we don't really know. If there is no source noted on the Family Group Record, we have to guess as to how the genealogist associated this person with this location. Hurray, a source citation. A quick check in the FamilySearch Library Catalog to see if there is a film number shows that the number is not from Germany, it is the Annual Genealogical Form from Nibley Ward, Utah. So let's look in the Catalog and see if there is still such a record. Searching in FamilySearch.org Catalog for Bavaria gives me the following: See Germany, Bayem. I can then look for places inside of Germany, Bayem and there are probably 500 or so places listed and here is part of the list for places called "Pfalz." The church book records cover the time period and one of the records is for the Evangelical Lutheran Church. By the way, FamilySearch records the place as Manuskripten im Protestantischen Landeskirchenarchiv der Pfalz, Speyer, Bayern, Deutschland. Guess what? The records are of confirmations and deaths. The date recorded was for a birth. You can see why this is a series. I will continue this particular discussion in the next installment. This is the third in a series about names, dates and places as recorded for genealogical purposes. I am now to the issue of recording dates. You might think this to be a very limited topic. If it were only so! Let's see how inventive our fellow members of the genealogical community can be. Umm, isn't that easy? As I just wrote, we can only hope. Here are a few of the attempts at this from members of the community. Remember, to a computer program, every character (including punctuation) is important and changes the order when sorting on that particular field. So, abt and abt. are two different categories. One thing to note is that the various genealogy programs force you to enter dates in a certain pattern. Some, allow you to choose the pattern. So you don't see quite the variety that you could see on paper Family Group Records in the past. The most readable and reliable format for presenting dates is day, month, year; this style is least likely to create confusion when entering, matching, or merging data. Abbreviate months as: Jan, Feb, Mar, Apr, May, Jun, Jul, Aug, Sep, Oct, Nov, Dec without a period. Enter days with double digits and present four digits for the year. If a baptismal date is entered into the birth date field because an actual birth record is not available, then precede the date with a code of “bap” or “chr.” Explain this in the research notes field. Document the date in the source field. Some softwares have a designated field for recording a baptismal or christening date. It is not necessary to code baptismal or christening dates when entered into a designated baptismal field or christening field. The terms, “Infant,” “Child,” or “Deceased.” are acceptable entries in a death date field, if a death date is unknown. Use the code “Infant” for a stillborn. Use “Infant” for a young individual from birth to age 3. Use “Child” for someone aged 3-8. Use the code “Deceased” for anyone older than age 8, if you have no clue about the death date. Explain the circumstances and your reasoning in the research notes field. Document in the source field. I think you might get the point about now. You see variations because there are variations and there are no uniform standards. Does it matter? Well, that is an entirely different question. My basic rule is that if it is readable and correct then who cares? What both of these "standards" are trying to do is minimize conflicts when moving data from one format in a certain program to another format in another program. That would seem to be a valid concern. The main thing I would disagree with is using any kind of abbreviation. That practice is a hold over from paper forms with limited space. I would also never use just numbers for dates, I would always use the order, day-month-year spelled out. Using numbers is like asking for trouble and mistakes. Other than those suggestions, I would say take your pick. What do you think works? The blurry parts of the image are probably people that have been edited out. Now, you can go back and look at previous Street Views of the same location. Presently, this only goes back to about 2007 or the earliest Street View after that date available. This only works if you see a clock in the upper left-hand portion of the screen. I wasn't able to find any of these new clocks in the Phoenix area, but the whole program has just now been introduced. 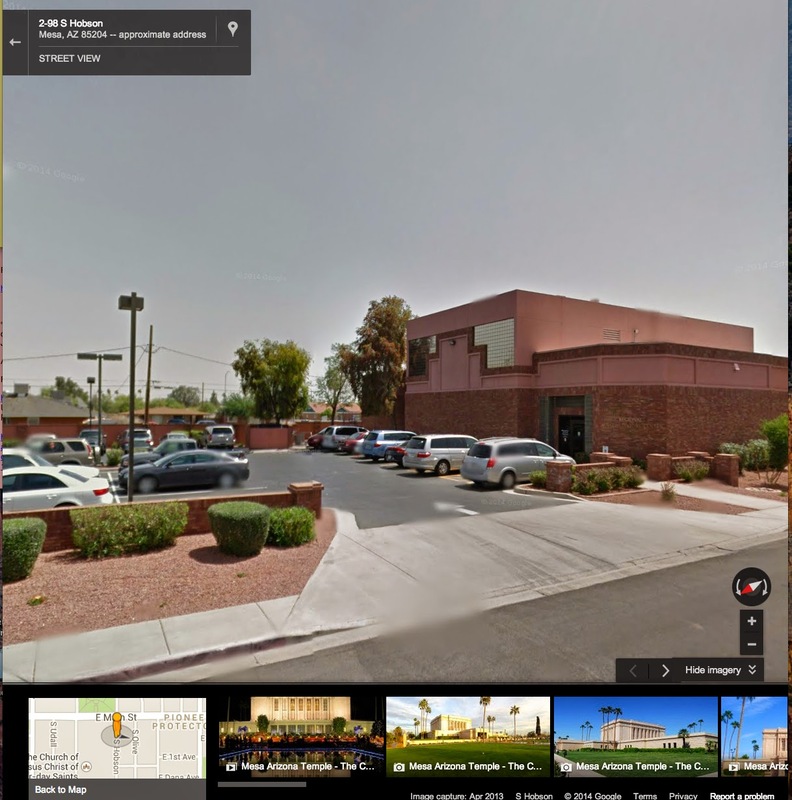 To read more, go to the Google Blog entitled, "Go back in time with Street View." If you are at all interested in an online family tree program that promotes careful research and extensive documentation, you should be familiar with WeRelate.org. Quoting from the website, "WeRelate is a free public-service wiki for genealogy sponsored by the Foundation for On-Line Genealogy in partnership with the Allen County Public Library. It is the world's largest genealogy wiki with pages for over 2,548,000 people and growing." I have long considered WeRelate.org to be one of the most important and viable alternatives to almost all of the other online family trees. Now, WeRelate.org has teamed with Find-A-Record to provide links from each individual in the wiki to that geographically centered record finding website. Here is a screen shot of an individual page in the WeRelate.com database with an arrow indicating the link to Find-A-Record. 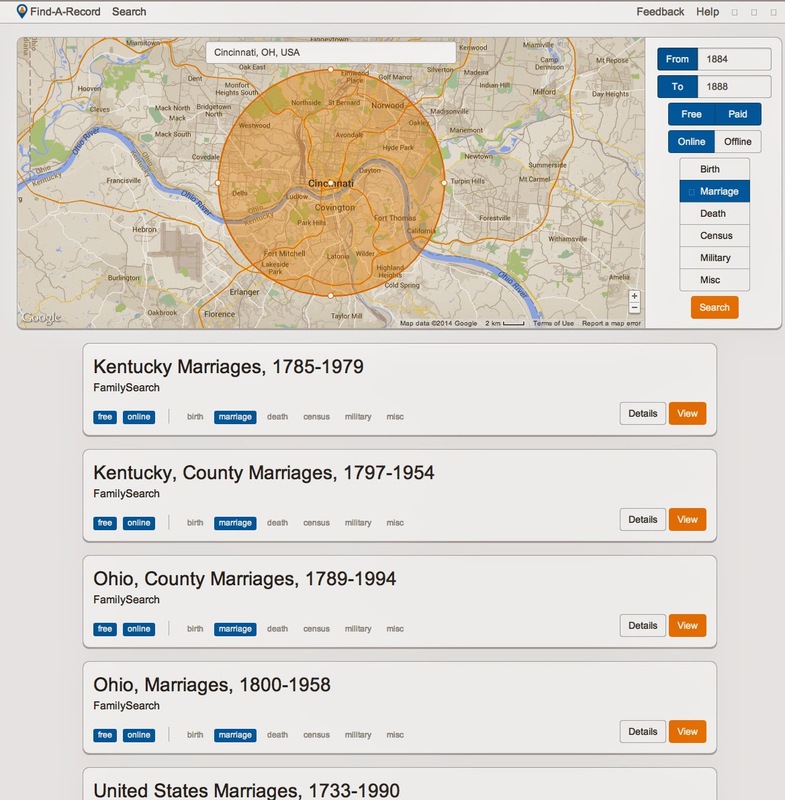 This is a major step for a program such as WeRelate.org because now it is essentially directly connected to searches in both FamilySearch.org's Historical Record Collections and Ancestry.com. Maybe this is a reason to look at both programs more closely. General Mills, the big company that makes cereals like Cheerios and Chex and also makes many other food products, has added language to its website about arbitration. GM is now telling consumers that they give up their right to sue the company if they join the company in online communities like Facebook or do a number of other things, such as download coupons or enter company sweepstakes. Instead, consumers who do those things will have to resolve their disputes by arbitration, which might be less favorable to them. You many have heard that many companies, especially larger companies, have tried to alter the terms of their agreements with clients to avoid jury trials and resolve disputes exclusively through arbitration. Arbitration is usually interpreted as being more favorable toward defendants, especially defendants in big, expensive litigation such as class-action lawsuits. If you have any idea what you are reading in the above statement, you will realize that your options in any dispute resolution with Ancestry.com are seriously limited. Now, you may not view this as being a bad thing. Companies such as Ancestry.com do business all over the world. They can't be expected to have to defend lawsuits in every small jurisdiction around the world, This type of agreement has been upheld by many courts around the country. Now, is this one of those "calculated to scare you, come to our law firm first" type observations? I can assure you that the law firm in question had no idea about the existence of the Ancestry.com provision. All names should be entered as they are spoken in whatever language they were originally given. All names should be recorded as they were given at the time of birth with variations in notes or alternative name sections. Use normal (i.e. upper and lower case) transcriptions. Use all specific characters (now generally available in all computer operating systems) used in the original languages. Do not use Mr., Mrs. or other such designations, titles, etc. unless they were part of the name at the time of birth. Do not use abbreviations unless they were actually part of the name at birth. In genealogy there are two main sources when we see names abbreviated. One of those consists of abbreviations used by the people entering names in original records. If you have done any research in original documents such as deeds, parish registers and such, you will very soon learn that early manuscripts contain a lot of "standard" abbreviations. Here is a link to a list of common English language genealogy abbreviations from RootsWeb.ancestry.com. It was also very common to abbreviate names. Here is another link to a GenealogyInTime Magazine list of common English name abbreviations. Now, should we record the name as it is found in the original record or take artistic license and expand the abbreviation into its equivalent? You will note that my rule says that names should be recorded as they were given at the time of birth. What if the birth record has the name as an abbreviation? I think the rule still stands. You record what the original document says. For example, if the child's name was William and it was recorded as Wm. then your records should reflect what was in the record. Your notes and alternative names etc. can reflect the fact that Wm is a common abbreviation for William, but unless you find another record showing the name spelled out, you should not go beyond the original. Why is this? Suppose you record the name as William and someone else records the name as Wm? Are they automatically to be assumed to be the same person? This type of issue lies at the heart of many of the duplicates in online family trees and other places. Record the name as it is found in the original documents. Expand abbreviations in your notes but record the abbreviation until you find a source showing the full name. The other source of abbreviations came from the limitations of handwritten genealogy forms and other forms. 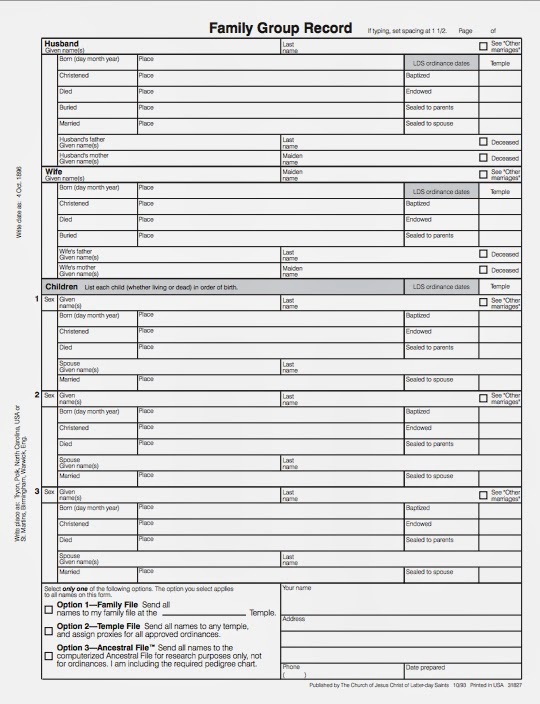 How many times have you tried to fill out a form to find out that the originator of the form did not leave enough room for you to fill in the entire name? Hence, the origin of many abbreviations. I will come back to this issue when I discuss place names. The use of initials could be considered a sub-set of abbreviations except for one rather unique practice, that is giving children an initial for a name. I have an uncle whose name is Rollin C Tanner. The "C"doesn't stand for anything. His middle name is "C." This practice became fairly common during the major wars when soldiers in the United States were "required" to have a middle name. In other words, the Army would not accept the form with the middle initial left blank. In some cases, the Army would require the soldier to put "NMI" in the empty field or "No Middle Initial." Now, I have actually seen genealogists who have recorded the name of their ancestor with the middle name of NMI. On the other hand, giving only initials for the names of an ancestor usually indicates a failure to do enough research. It is an easy, lazy practice. Unless you confirm that the baby was given the name with an initial at birth, I would suggest that all the single letter initials in your database are an open invitation to do some more research. By now, you can probably predict my answer to the question of how to record nicknames. If the name was given at birth, it is not a nickname. If the child's name was Margaret and she was always called Maggie, Meg, Peg, Peggy or whatever, then record the name she was given at birth as the name and show Maggie as a nickname or variation with an exclamation in a note. If you never find a reference to her "real" name but only find her nickname recorded, then your records should reflect the name as it appears in the original source record, not your interpretation of the name. This is a sore spot with me. The mark of an inexperienced and/or dogmatic genealogist is one who insists that their ancestors' names were spelled one way or another. It is not unusual to find ancestor's names spelled various different ways. Remember that the people who were recording the names often did not hear the name correctly or simply spelled the name the way they felt was right. Your ancestor may not even have known the "correct" way to spell his or her name. Here, more than any place else, the variations in spelling should be preserved in your database. Take the time to show all the variations as they appear in original records and explain where the variations come from. In some cases, family members will simply have to come to a consensus as to which spelling of the name to use. This is another major contributor to duplication in family trees. You might want to start with findmypast.com Name variations: tips & tricks. I have very often had people become upset because their own name or the name of an ancestor was not capitalized properly. This issue is very closely related to spelling variations. In some cases, you simply must record all the variations and choose the one you like as the primary way to record information. Notice the three letters at the end that are not part of our common English alphabet. In some cases words written with those letters are different than a word appearing with the alternate. Presently, all computer operating systems have the ability to reproduce the characters in all the different languages. I would suggest that genealogists start making this a priority and record the names of their Danish, Norwegian, German etc. ancestors as they were given at birth. Names change. This is a fact of life. There are hundreds of reasons why people change their names, many of them trivial. Genealogists begin to find this issue almost immediately upon trying to research ancestors born in another country. Very often, the ancestor would adopt a new name, officially or very often, unofficially, when they moved to a country with a different language. Just remember the rule about recording the name at the time of birth and then recording name variations in notes or alternative names. I could write a book on this subject. but the rule usually sorts out the issue. Titles should be recorded as titles. Almost all genealogy database programs today provide for a way that titles can be recorded separately from the names as given at birth. There is one issue, that is children who were actually given the name of captain, major, doctor or whatever at birth. If the ancestor's name is the same as a common title, then there should always be an explanation. I am at the end of my list. What I find is genealogists who feel compelled to record occupation or other information in the name fields of their databases. If the word or words are not part of the name as given at birth, then don't record it as a name. Occupations should be recorded as occupations etc. The inventiveness of genealogists can never be underestimated. I am sure that I will continue to find an amazing number of different words and spellings in name fields in the future. Maybe this will change? Never. Not as long as I make my own typographical errors. Yesterday I listened to my daughter tell me a long explanation about trying to merge two duplicate individuals in FamilySearch.org Family Tree. One of the problems she encountered was that a female ancestor had been entered into the program with her married name rather than her maiden name. I have mentioned this issue previously but thought it would be appropriate to review again. Here, the name for both the husband and the wife are simply a line without any designation as to the order of the names or whether to use any particular variation of the possible naming patterns. 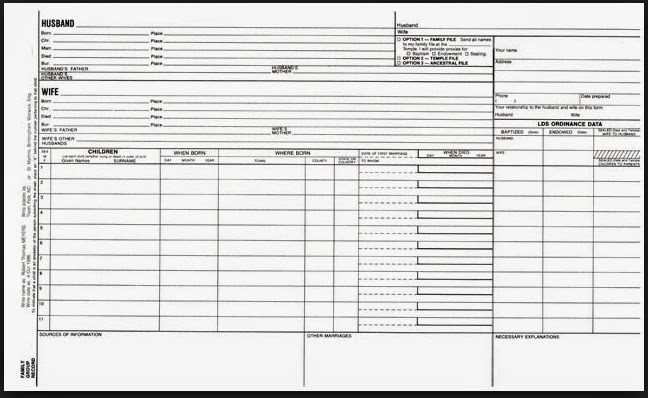 Earlier sheets usually limited the amount of space given in the form for any individual entry. This became a really important issue with place names, but this is a series and right now I am talking about names of people. Using FamilySearch (and its predecessors) as an example, if you go back in history, you will see that the standard changed from time to time and from place to place. Early on, say about 1900 to 1920, there did not seem to be any standardized method of recording names. Eventually, there were guidelines such as using maiden name for females but if the maiden name was unknown, then use the prefix "Mrs." with the husband's surname. For a while, with typewritten FGRs, there was a standard that all surnames be capitalized. The immediate problem with this was the issue with names such as McDonald and MCDONALD. I could probably go on for an entire book outlining the history of all these changes but let's fast forward to today. Do we have any standard way of entering name information? Well, actually we don't. We have a lot of different genealogical database programs, we have a huge number of online programs and very, very few of them give the user a clue as to how to enter names. If they do, the instructions are likely buried in some manual that never gets read. So when we go to an online family tree such as Ancestry.com we still see all of the variations, faithfully preserved, from the old FGRs. It has been pointed out recently in comments to this and other blogs, that we do not have any "Genealogy Police" enforcing standards. But here are a few suggestions. Of course, I expect that there will be disagreements. Oh, before doing this let me mention that computers, rather than solving these issues, merely added another layer of variations. Most genealogists who were accustomed to entering their information in a particular way, simply used the computer to duplicate what they had be doing all along, even though it made no sense. Some of the genealogical database programs let you record surnames in all capitals or with upper and lower case and make the changes from one to another automatically. Why? I can see the reason for the editing changes but WHY ENCOURAGE PEOPLE TO PUT SURNAMES IN ALL CAPS? You might get my point. One more observation, early computer programs were as bad as paper forms in limited the way names, dates and place due to character limitations built into the programs. Oh well. Here are some general rules I suggest. After all that discussion, that's it. If you think about it, most or nearly all of the problems I encountered over the years could be solved with these simple rules. The Map & Imagery Digital Collections includes materials from the University of Florida's Map & Imagery Library andDepartment of Special and Area Studies Collections, particularly the P.K. Yonge Library of Florida History and theUniversity Archives. The physical Map & Imagery Library Collection contains more than 497,800 maps, 266,500 aerial photographs, 2,250 remote sensing images, and 7,215 atlases and reference books. It is the largest academic map collection in the Southeast, and among the top five academic map collections in the entire United States. The Map & Imagery Library has general map coverage world-wide. Specialties of the collection include Florida, Latin America, the United States, Africa, and the Holy Land. Well, so now I was interested in finding out the other four huge university collections. Oh, I might note that the University of Florida also has the Sanborn Fire Insurance Maps of Florida. Before I go on in my search for the other four, I think it is important to note that maps should be the genealogists constant companion. Too many times when I quiz people about their genealogy, they have no idea where are of the places they find are actually located. For this reason, many of the places are incorrectly identified or confused. I suggest that identifying on a map each and every location you cite in your research is important. Many of the current genealogy programs will do this automatically except not so well for places that no longer exist. MIL's collections of maps, aerial photography, satellite imagery and other spatial data exceed 5 million information objects. As of 1992, MIL was ranked as the number one spatial data collection in the top 100 members of the Association of Research Libraries. According to the 2006 Guide to US Map Sources, MIL is the third largest academic map collection in the country. The imagery collection is composed of 2.8 million aerial photographs and an unknown amount of satellite images stored as part of the legacy Alexandria Digital Library collections. New to aerial imagery? Check out our aerial photography tools to learn how to find flights covering your area of interest and read indexes. We also have a page that describes major portions of the collection. The Yale Map Collection has the largest collection of maps in Connecticut and one of the largest university collections in the United States. Its collections are geographically comprehensive and consist of over 200,000 map sheets, 3,000 atlases, and 900 reference books. The Thomas R. Smith Map Collection, located on the first floor of Anschutz Library at the University of Kansas, is among the largest academic map collections in the United States. The map collection includes over 440,000 paper maps and air photographs, covering all areas of the world, with particular strengths in maps of Kansas and of the U.S.A. It would probably be a really good idea to search for maps from universities in the areas where your ancestors lived. This would be a good place to start. As for identifying the largest map collections in libraries, it turns out finding out which are the largest is very difficult due to differences in the way the collections are described. Here is one compilation of websites that you might want to see: Images of early maps on the web. Have fun looking at maps. Can I do genealogy on my tablet? My smartphone? My watch? IDC is predicting the worldwide smart connected device market will accelerate past 2B units by the end of 2015, attaining a market value of $735.1B. PCs will drop from 28.7% in 2013 to 13% in 2017. Tablets will increase from 11.8% in 2013 to 16.5% by 2017, and smartphones will increase from 59.5% to 70.5%. Over the past couple of years, I have been watching tablets, including of course iPads, from being something people noticed and that were a novelty, to seeing parents hand their babies an iPad and watching the baby (less than a year old) play with the screen and make it work. Now that we are going to live only a few blocks from the Brigham University Campus, we see a lot more younger people as we drive to stores and such during the day. My wife and I were remarking that almost half of the students walking around had a cell phone of some kind glued to their ear. It was not unusual to see three or four young people walking together, all talking on separate cell phones and probably not to each other. 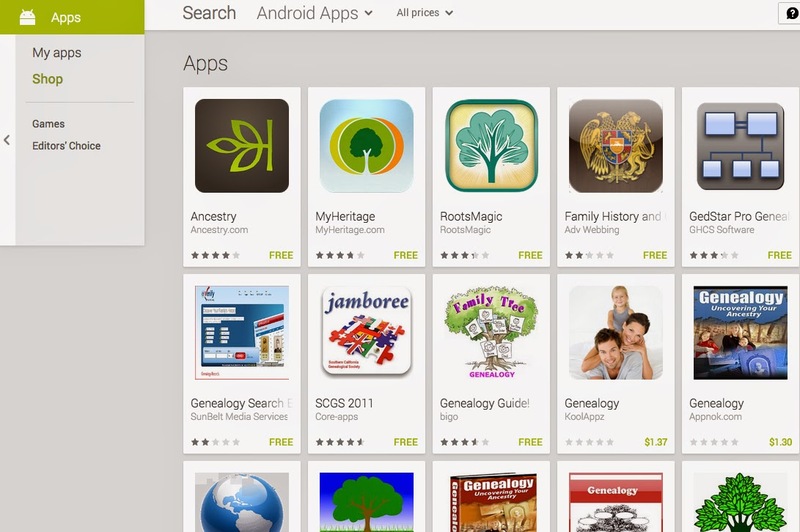 There are actually quite a few more apps available, but apparently, the developers haven't figured out how to get their products to show up when someone searches for genealogy. 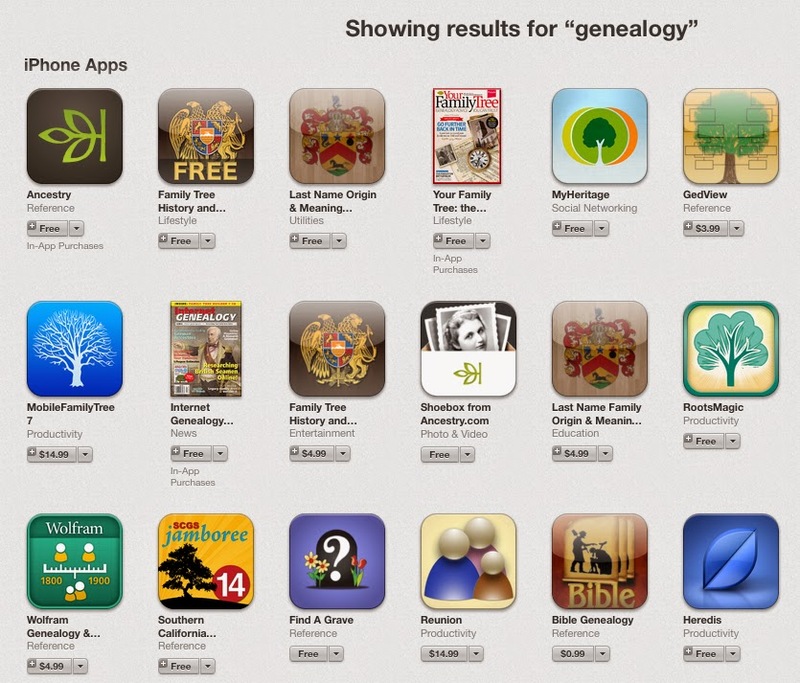 A search for "family history" in the App Store gives only two of the above programs. For example, I know that Ancestry.com has an app for iOS (Apple) and it does not show up in a search in the App store. Many of these apps connect and synchronize with desktop computer programs such as the ones shown for RootsMagic, Reunion and Heredis. Some also allow direct entry into an online family tree, such as the one from Ancestry.com. I guess the real question is whether or not you can do your genealogy entirely on one or more or these devices? I think that the main limitation is data entry. I cannot yet imagine doing a lot of data entry, especially into various data fields in a genealogy program without using some sort of keyboard. Now, granted, when I was thinking about upgrading my iPad, I seriously considered it as substitute for my laptop, but the functionality, even with the addition of a keyboard, was not yet there. But I do suggest that it will be possible very shortly, to function entirely with a keyboard and a tablet computer. I say this as I am working, and have been working almost steadily for the past few weeks, on my laptop. All my travels and moving from Arizona to Utah has made it necessary to work off of the laptop almost exclusively. Since I can now plug my laptop into a large screen, I may have to consider whether or not I even want to have a desktop computer. I am also using a touch pad now exclusively. I finally have given up using my mouse at all. So, back to the question of the title. The answer is a qualified yes. It really depends on the development of the programs and your degree of involvement with technology and with genealogy. Can I run a full-blown genealogy program on my iPad? Not quite yet. Attaching peripherals such as a scanner can be really tricky. But I see this all moving in that direction in the not too distant future. For example, not too long ago, FamilySearch issued an Indexing app for smartphones and tablets. It did not work very well and was retired. Now, they are back again. The new version of Indexing coming shortly will support Indexing from a tablet. See New Indexing Program: Tablet Support and the New Learning Experience by Janell Vasquez. If you don't have a tablet computer Android or iOS yet, you will have no idea what you are missing. You cannot imagine how integrated smartphones and tablets (iPads) can become in what you do every day including genealogically related activities.